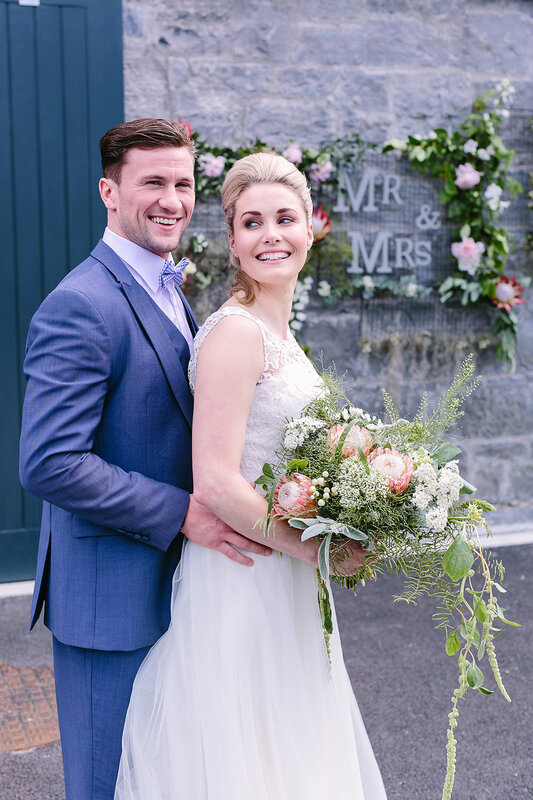 The Wedding Festival is an Irish award winning wedding planning and event design service specialising in the creation of extraordinarily beautiful weddings. From small intimate elopements to the three day wedding party and everything in between, we work with you each step of the way to create the wedding of your dreams. At The Wedding Festival we bring a fresh and innovative approach to event design and coordination. We understand that it takes a team to plan and deliver an extraordinary event. We believe that a collaborative approach and open communication are essential when working with you on designing and planning your wedding. Our expertise lies in creating memorable and fun experiences for you and your guests. We are known and trusted for our creativity, impeccable planning, personal service, inspired designs, attention to detail and friendly outlook. Our access to the best wedding suppliers and our ability to transform locations into breathtaking, magical spaces will ensure your wedding is an amazing experience that you and your guests will remember forever. "In a nutshell, we couldn't have done this without these guys! What Isobel and Melanie did, we could never have managed in a million years (time wise or resource wise) in the lead up to our wedding. I would highly recommend The Wedding Festival for wedding planning, wedding styling and prop hire. They worked so hard to bring our vision together and for that we are truly thankful. A million thank yous, Stacey + Niall"
If you're planning your wedding and are feeling overwhelmed or don't know where to start, then why not avail of our free 30 minute wedding consultation? This is an informal chat with us which can be done over the phone or by Skype. The aim of the consultation is to help you to get to grips with your wedding planning and preparations. It's an opportunity for you to ask questions, bounce ideas and brainstorm about all your wedding ideas and plans and perhaps see how we can help you. Click below to reserve a time slot for your free wedding consultation - let's get your planning off to a flying start!! Sign up here to receive our newsletter and updates and be the first to hear of our special offers! We respect your privacy and won't share your details with any other 3rd parties. You can unsubscribe at any time.